Vettel, who needs only a point on Sunday to be the sport's youngest double champion at the age of 24, made a rare error on the exit to the Degner 1 curve at the end of a warm morning practice at Suzuka. He skimmed across the gravel and ended the 90-minute session as a sweaty spectator, removing his helmet and joining marshals behind the crash barriers with his car's nose in the tyre wall. 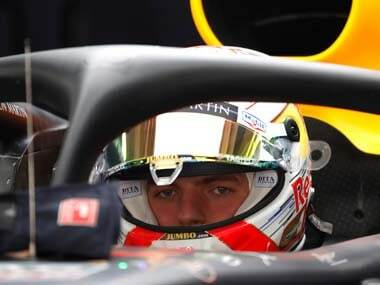 "It wasn't a big mistake this morning, but in that moment I wasn't 100 percent awake and mistakes around here can be quite costly," said the German, who was third fastest in both sessions. 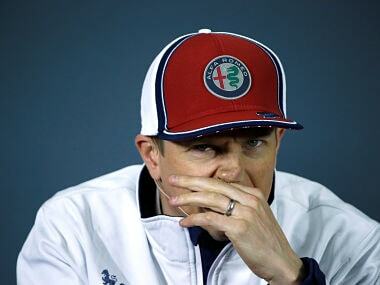 "I went off and tried to slow the car down, but I hit the wall slightly. It wasn't a big impact, but it did some damage to the car, so it wasn't perfect." 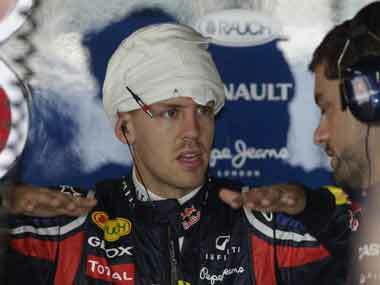 Vettel looks sure to retain his title with four races to spare and has won from pole at Suzuka for the past two years. 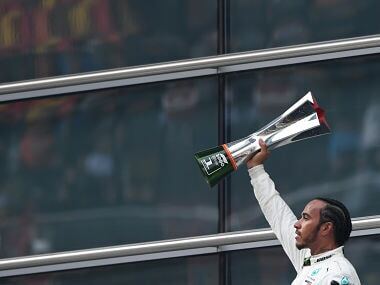 The reigning champion has a 124-point lead over Button, who has compared his challenge to that of a four-year-old facing an adult in a 100 metre sprint, with only 125 still to be won. "The circuit seems pretty tricky this year on these tyres - they make the cars seem more alive, so Sunday will be an interesting race," said Vettel. Button must win on Sunday and hope Vettel fails to score for the first time in 17 races dating back to last October. The Briton lapped the Honda-owned track with a fastest time of one minute 31.901 seconds in the afternoon. His quickest time in the morning was 1:33.634. "It's always fun driving around here, especially when the weather's good like this," said Button, who has a Japanese girlfriend and views Suzuka as a second home race. "The car feels good around here but I don't really know what to take from today in terms of where we stand. "The car's working okay but there are still areas we need to improve to be happy, especially the long run pace...you never know what people are doing with fuel loads." Team mate Lewis Hamilton completed a McLaren one-two in the first session, 0.091 slower than the 2009 champion, while Ferrari's Fernando Alonso was second fastest later on. Hamilton, the 2008 champion, was only eighth after the break. Australian Mark Webber, Vettel's team mate who has still to win a race this year after challenging for the title in 2010, was fifth and fourth respectively. 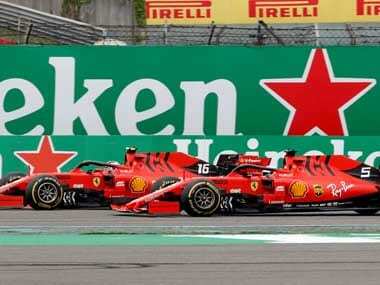 If Vettel's incident was the talking point after the morning session, with his pride more dented than the car, Brazilian Rubens Barrichello provided the afternoon's excitement. The Williams driver crashed halfway through the second session, also at Degner, with his Williams slamming into the tyre wall backwards with far more force than the Red Bull had. Venezuelan team mate Pastor Maldonado pulled up a short time after. Indians Karun Chandhok and Narain Karthikeyan each took part in practice for Team Lotus and HRT respectively, with both having an eye on returning to racing at their country's inaugural grand prix later this month.